Power tools and sedation are not required to properly float and correct a horse’s teeth. Using sedation eliminates the need for real interaction with the horse, thereby saving the practitioner time. Power tools serve the same purpose, they save time and effort. Unfortunately, the well-being and safety of the horse are put at risk using these methods. 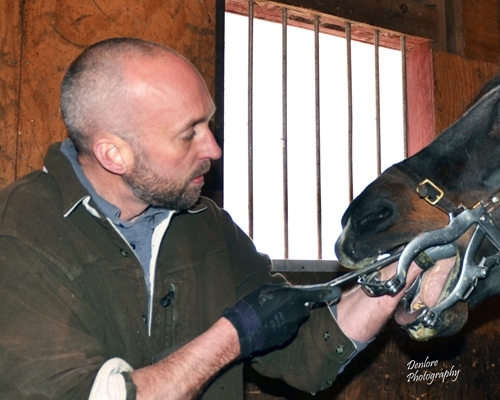 With proper horsemanship, attention to detail, and modern hand tools, Duncan can remove all sources of pain and restriction from the mouth while keeping the natural integrity of each tooth intact. The inherent risks of motorized instruments and sedation are eliminated.